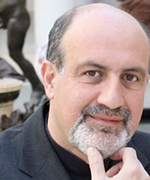 Nassim Nicholas Taleb spent 21 years as a risk taker (quantitative trader) before becoming a researcher in philosophical, mathematical and (mostly) practical problems with probability. Taleb is the author of a multivolume essay, the Incerto (The Black Swan, Fooled by Randomness, and Antifragile) covering broad facets of uncertainty. It has been translated into 36 languages. In addition to his trader life, Taleb has also written, as a backup of the Incerto, more than 50 scholarly papers in statistical physics, statistics, philosophy, ethics, economics, international affairs, and quantitative finance, all around the notion of risk and probability. Taleb is currently Distinguished Professor of Risk Engineering at NYU's Tandon School of Engineering (only a quarter time position). His current focus is on the properties of systems that can handle disorder ("antifragile"). Taleb refuses all honors and anything that "turns knowledge into a spectator sport". 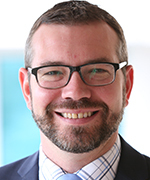 Stewart is a Director in PwC's Insurance & Reinsurance Practice, specializing in the provision of audit and advisory services to the long-term (life insurance) sector. Stewart serves a variety of life insurance and reinsurance clients including fixed and variable annuity reinsurance companies, domestic life insurance companies with universal life, term life and group health and life products and reinsurers operating in niche markets such as life settlement business. 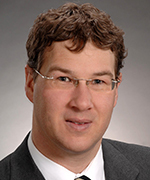 Stewart has significant experience of life insurance/reinsurance accounting under IFRS and US GAAP. 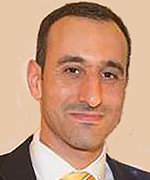 William is a Principal and Consulting Actuary with the Boston office of Milliman. He has assisted clients in the Bermuda market with reserve and capital analyses, pricing support, M&A and special financing vehicles. 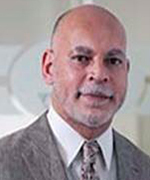 He has served or currently serves as appointed actuary for more than ten long term insurers and reinsurers in Bermuda. William has broad experience in consulting on financial reporting topics with a concentration in public company accounting including US GAAP and IFRS reporting regimes. 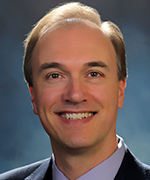 He is a leading expert on these topics within the actuarial profession and has worked directly with the US FASB and IASB on the development of their respective accounting standards for insurance. William currently serves as chairperson of the International Actuarial Association’s Insurance Accounting Committee and has served as chairperson of the American Academy of Actuaries’ IFRS task force, Financial Reporting Committee and VP of the Risk Management and Financial Reporting Council. Sean is a Senior Manager in PwC’s audit and advisory services team, with a concentrated focus on advising clients on technical accounting and regulatory reporting matters. Sean has extensive experience with SEC, US GAAP and IFRS reporting requirements and has worked with companies in both the property & casualty and long-term sectors of the reinsurance industry. Currently, he serves on PwC's IFRS 17 project team working with companies in Bermuda and across the Caribbean on implementation methods and strategies. As CEO and Co-Founder of LOGiQ3 Group, Chris’ responsibility is to ensure growth of the entire organization, leverage synergies where possible, and explore opportunities to increase the footprint across the entire operations - LOGiQ3, APEXA, TAI, and Cookhouse Lab. Chris helps sets the strategic and innovative direction of these companies and is always trying to help direct these organizations to make insurance better. Chris has been part of the insurance and reinsurance industry for over 25 years. Starting at Crown Life and later at Sun Life Chris’s career spanned ceded administration, corporate actuarial, assets/liability management and reinsurance operations. He has been active in many industry related organizations, holding positions such as President of the LOMA Society of Toronto, Executive Director to CAILBA, Past Chair and founding member of Reinsurance Administration Professionals’ Association and VP, Woodsworth College Alumni Association at the University of Toronto, grooming and inspiring young minds. A serial entrepreneur and someone who always wants to find a different way, Chris has helped lead the successful establishment of three start-up businesses, including the newest addition of Cookhouse Lab, the insurance industry’s first open innovation space. Above all, Chris is thankful every day to love his job and work with friends. Christopher’s practice focuses on mergers and acquisitions and corporate finance transactions. He regularly advises Canadian, U.S. and other international clients on a wide variety of public and private acquisition and business combination transactions, public offerings, and private placements of equity and debt securities. His clientele includes private equity, venture capital and pension funds and businesses that range from early-stage ventures to publicly traded, multinational corporations operating in a variety of industries, including technology, biotechnology, pharmaceuticals and manufacturing. Christopher is one of the founders of Blakes’ innovative Nitro program that offers the Firm’s full resources to early-stage tech companies in a cost-effective manner. Chris also acts as an advisor to Cookhouse Labs and provides legal training to companies participating in Johnson & Johnson’s JLabs and the Ontario Bioscience Innovation Organization’s Capital Access Advisory Program for early-stage biotech companies. Prior to joining Blakes, Christopher spent five years practising law in the United States. 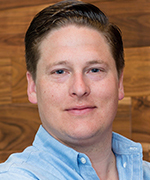 Dustin Yoder is an InsurTech entrepreneur, visionary, and product builder. The son of a top Silicon Valley insurance broker and InsurTech entrepreneur, Dustin has been primed to make a splash in the insurance space from birth. In 2012, Dustin formed Sureify, an InsurTech start-up company providing a full-stack platform for life insurance clients. With consumers expecting more engagement from their providers, a platform to enable digital transformation for life insurers became the core focus of Sureify. Sureify has built a web and mobile engagement platform, “LifeTime”, to manage the relationship between life insurance carriers, agents, and the customer. The platform is intended to be a complete end-to-end solution centered on the lifetime engagement of the policyholder. Dustin’s ventures were always self-funded until a recent investment by Hannover Re. While building Sureify's "LifeTime" platform, he also started Vendus Product Labs, an enterprise product development company serving the likes of: Genentech, Stanford University, Sutter Health, and Honda Motor Corporation. Prior to starting Sureify and Vendus, Dustin was the VP of business development at PandaDoc, an e-signature software platform. He earned his degree in finance at Cal Poly, San Luis Obispo and lives with his wife in San Jose, CA. 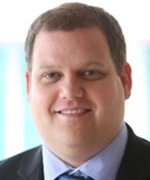 Scott Silverman is Managing Director, General Counsel and Secretary of Global Atlantic Re Limited, a Bermuda based reinsurance company. He is responsible for the legal structuring, due diligence and negotiation of transactions, and receipt of regulatory approvals when required. He also oversees regulatory and governance matters for Global Atlantic Re. Prior to his role with Global Atlantic, Scott was a member of the Goldman Sachs Reinsurance Group, the predecessor to Global Atlantic prior to its separation from Goldman Sachs in April 2013, where he served as General Counsel for Goldman Sachs’ domestic life insurance companies. 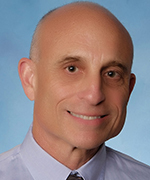 Prior to Goldman Sachs, Scott, held senior leadership positions, including General Counsel and Chief Administrative Officer at two publicly traded life insurance holding companies, and acted as Of Counsel to a nationally recognized law firm specializing in insurance transaction and product matters. 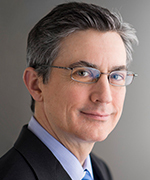 Thomas Kelly is a corporate partner and Chair for the Americas of the Insurance Industry practice group of Debevoise & Plimpton LLP in New York. He has represented insurance companies in a broad range of M&A, reinsurance and capital markets transactions, particularly in the life insurance industry. 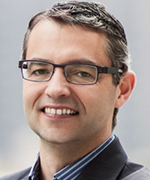 He joined Debevoise in 1984 and became a partner in 1993. 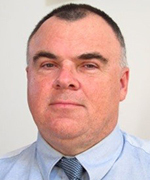 As Managing Director, Supervision, Craig Swan has responsibility for insurance supervision as well as the Authority's actuarial and risk analytics functions. Gary Thomas has been a long term actuary at the Bermuda Monetary Authority since 2011. He has substantial experience in regulation and in the insurance markets of the US and Latin America where he has held roles in reinsurance, consulting and insurance involving practically every type of long term product, from life and annuities to health. Previously, Gary worked at Transamerica Re as Director of Business Development for Latin America where he assisted clients in product development, financial reinsurance and mass marketing and was involved in pricing and profit sharing mechanisms. Prior to joining Transamerica Re, he worked at Ameriprise as an Actuarial Director with responsibility for valuation of the company’s annuity business. As chief actuary at Inviva he developed and priced a number of life and variable annuity products. At Mercer Consulting, he was a Principal and Consulting Actuary where he marketed and provided consulting services related to the negotiation, and structuring of various types of COLI/TOLI products, split dollar life arrangements, annuities and nonqualified retirement and deferral plans. Gary is a Fellow of the Society of Actuaries (where he is a member of the Education and Examinations Committee) and a member of the American Academy of Actuaries. He holds an MA and a BA (honours) in mathematics from Oxford University.